Every profession has its tools and dentistry is no different. Does today’s technology mean the days of painful dentistry are over? That might be a stretch, but machines can help us to be less invasive than we were in your grandfather’s day. 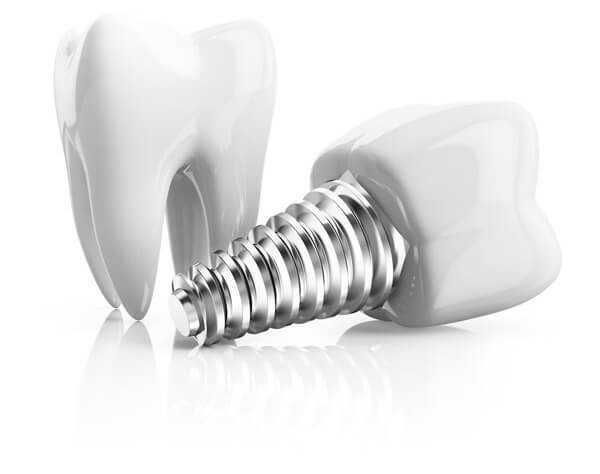 Dentistry, as with other health care fields, has evolved due to technological innovations. Here is a list of the equipment we have at Sana dental and how we use it for dental treatment. X-rays are a necessary part of dental care. We use them to detect damage and disease small-pages-x-ray-1that may not be visible during a regular dental exam. Digital x-rays use an electronic sensor instead of x-ray film. Once the image is taken, it’s stored on our computers. With computer software we can adjust the image’s color, contrast and brightness, if needed, to assist us in analyzing your x-rays. Digital x-rays allow us minimize your exposure to radiation as much as possible. Computer-aided tomography (CT) scans could be thought of as similar to the old coin-operated photo booth, except the images it produces are digital. It quickly (less than a minute for most cases) takes a series of pictures of your teeth and jaw, which are assembled by the computer into a three-dimensional image of your dental anatomy. 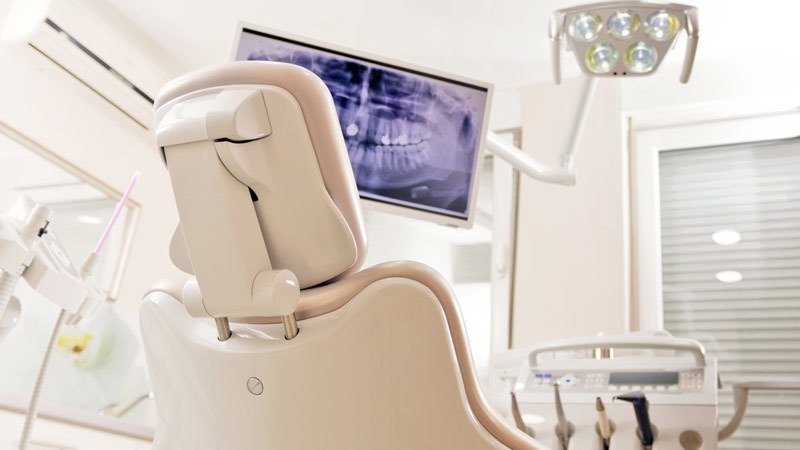 With CT scans, you can see what your dentist sees, so he or she can explain to you in detail what your dental issues are, and clearly lay out your treatment options, so you can make an informed decision about how to proceed. Finally, the data is easily transportable, so your dentist can work effectively with other dental professionals, such as orthodontists, when necessary. Not all dental issues have obvious symptoms. That’s where an intra-oral camera comes in handy. The camera itself looked like a large pen that’s attached to a computer. Your dentist will insert it into your mouth, allowing you to see what he or she is seeing on the monitor. Many dentists use an intra oral camera for educational purposes. For the majority of us, seeing dental issues in the nooks and crannies of our mouths is difficult, sometimes impossible. By showing you what’s going on in your mouth, your dentist can help you understand the issue, and the treatment recommended to resolve it. Dental lasers work by administering energy in the form of light. This energy acts as a cutting instrument when used for dental surgery or gum disease treatment. The light energy of lasers is also used to “cure” fillings, and as a heat source in teeth whitening treatments. Recording the sounds made by your jaw joints – an electrosonograph picks up sound from a lightweight headset that you wear while being tested. It records the vibration coming from the jaw joints when they move. This data is printed in a series of colored graphs. Measuring the muscle activity in your jaw – The K7 electromyograph records electrical activity in the jaw muscles, from several electrodes placed around the jaw area. In real time, your dentist can watch this data being graphed from as many as eight sites simultaneously. Measuring the movement of your jaw – The K7 Computerized Mandibular Scanning (CMS) picks up the motion of a small magnet on the lower jaw. For this testing you wear a lightweight frame supported by your shoulders. Eight sensors track jaw motion in three dimensions – up/down, sideways, and forward and back. The jaw joint is the only in the body, which can move in three dimensions like this. TENS stands for Transcutaneous Electrical Nerve Stimulation. This small, battery-powered unit is often referred to as “the best part” of a TMJ diagnosis. Why? It is where the pain is temporarily relieved. Using electrodes placed on your head, neck, and shoulders, the TENS unit sends mild electrical stimulation to the muscles surrounding your jaw. While you relax in a comfortable chair for 45 to 60 minutes, this repeated stimulation gradually relaxes your jaw muscles, perhaps for the first time in years. The pain caused by chronic stress also fades away. Once your jaw muscles have relaxed the jaw joint into its optimum position, your dentist has enough information to plan your TMJ treatment options.